The Princeton Battlefield Society (PBS), in collaboration with Princeton University and the Historical Society of Princeton (HSP), will be hosting Public Archaeology Day this Saturday, November 10, from 9 a.m. to 3 p.m., with an array of educational and recreational activities to engage participants. 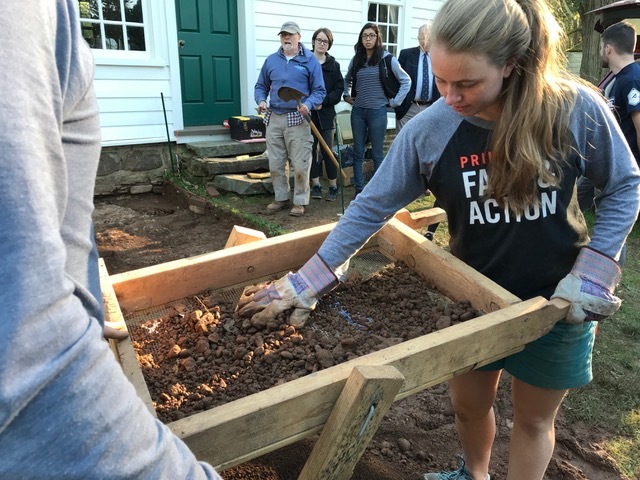 “You are invited to join students, Princeton University faculty, and professionals in the archaeological and historical exploration of the Princeton Battlefield,” the PBS announced. Princeton University Art and Archaeology Professors Nathan Arrington and Rachael DeLue, who teach the University’s “Battle Lab” course, will be working with participants throughout the day to examine the history and preservation of the Battlefield. Learning techniques of excavation, metal detection, ground-penetrating radar, and artifact study, participants will be able to explore all aspects of the archaeological project. They will examine material traces of the Battle of Princeton, learn how battle remains are recovered and interpreted, and consider how the cultural landscape can be presented and preserved. At the HSP at 3:30 p.m Saturday, historian Bob Selig will deliver a lecture, “Of Skulls and Skeletons,” on military burial practices along the Washington-Rochambeau Revolutionary Route National Historic Trail. Widely published author and project historian to the National Park Service and for a number of American Battlefield Protection Program projects, Selig will be making close connections between history and archaeology in focusing on what happens with the skeletons. Other highlights of the day will include tours of the battlefield at 10 a.m. and 1 p.m. titled “The Battle of Princeton: What Happened and Why Does it Matter?” conducted by the PBS historical interpreters tour corps; a lecture, “The Commemoration of the Battle of Princeton,” by Blake McGready of the Villanova University history department; and free pizza provided by Nomad Pizza to the first 126 people.